Spectacular sea views, 3 bedrooms, 2 doubles one with ensuite and bunk bed room. kitchen and living room. We had a lovely few days at this beautiful apartment. The view of the sea never fails to install calm, just what we needed with our son revising for A levels. There was plenty of space for a family of 4 and the apartment is superbly equipped. 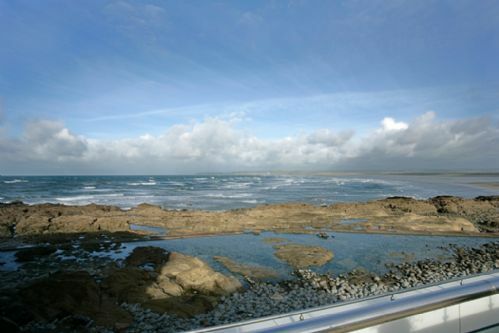 There are lovely walks from there to unspoilt areas, and plenty of good restaurants and cafes within walking distance. We will definitely be back! We decided to stay at sea dreams for a few days between Boxing Day and New Year’s Eve. We have stayed here before when we have visited Westward Ho! This apartment never disappoints, it is lovely to be so close to the sea that you can look out of the window and feel as though you are on a cruise. The apartment is well maintained with lovely bed linen and towels. We had been left a welcome pack with some treats in which was a nice surprise. The only bad thing about the holiday was that we had to leave. We are now looking forward to returning at Whitsun as we just love the apartment and it’s location. 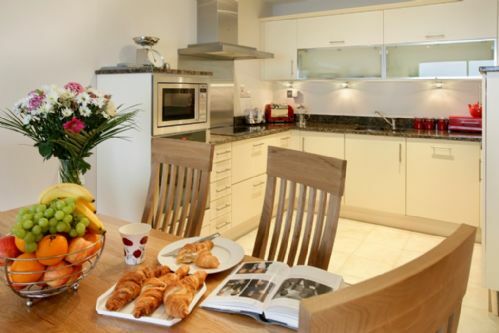 A lovely clean and well-designed holiday flat in a perfect location. Coastal walks from the front door, easy walks to cafés and shops and restaurants, or just stay in and watch the tides come and go. Absolutely fabulous apartment, very suitable for anyone with restricted movement from the car park to the apartment. There is everything you need for a very comfortable holiday. The shops are nearby so you don't even need your car whilst away, making it a very relaxing holiday. We had a very pleasant week at Sea Dreams. Everything was there that we needed to be comfortable. The view of the sea from the living room and main bedroom was stunning - it was like being on a cruise ship! Westward Ho! is a small seaside resort, well positioned for visits to plenty of attractions in North Devon. Arrive for your first visit; open the shutters and what hits you are the fantastic, uninterrupted sea views that are so close you'll feel like you could dip your toe in. To quote my mum, who isn't easily impressed - "Wow!". The apartment is located at one end of Westward Ho! village. Right next to the coastal path; a couple of minutes from a pub and an easy 5 minute stroll to the centre of the village. The apartment itself is modern, spotlessly clean and well appointed. This was our second visit and it's nice to see the owners investing in the property - this year there was a new outside table and chairs (for 6) and new curtains. We had one small issue during our visit and the owners were very responsive in sorting it out. One thing that's nice is that, whilst the apartment sleeps 6, it works really well for a couple. We looked long & hard to find the perfect place by the sea to take my elderly dad who has mobility problems for a break. Sea Dreams fitted the bill perfectly but would have been just as good for a young family too. The property was spotlessly clean & the openplan living area, master bedroom suite & family bathroom were very comfortable. The second bedroom was less so but served the purpose, perhaps that’s partly due to the fact we’re used to a super king bed, we didn’t use the third bunk bedroom but it would have been ideal for children/teenagers. The only addition that I would have liked, would be an outdoor dining table & chairs on the very spacious balcony, there is a small outdoor sofa set & coffee table. The sea views were stunning & the coastal walks outstanding. This beautiful apartment was very well equipped with everything (and more) that you could ever need. It was very comfortable like being at home. Watching the magnificent sunsets on the balcony I thought it couldn’t get any better, then to our surprise it did, we had the opportunity to watch the dolphins, that was fantastic. It was nice of the owners to phone us to check that we were ok and we had found everything to our satisfaction, I was sure they were on their holidays at the time. Thank you for letting us rent your wonderful apartment. Everything was absolutely superb .Directions,parking,apartment,and especially the fantastic view from the balcony .All the booking ,payments ,and admin were to the highest standard . We would recommend a stay at this fabulous location to all .